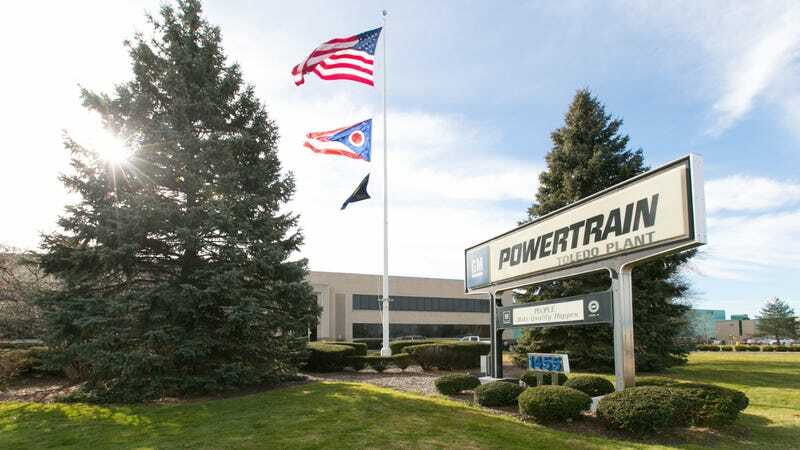 A new lawsuit in federal court alleges that General Motors has not dealt with the culture of racism that reigned at its Toledo transmission plant. There, black workers were subjected to "white-only" signs, commonly known as racist slurs, and flowing knots were left hanging in plain sight many times, the trial said. General Motors is being sued by several black workers alleging widespread racism in the Toledo factory. The lawsuit, reported for the first time by the Detroit Free Press and which you can read below, indicates that GM's inability to "take corrective action promptly" has resulted in an "atmosphere in which employees motivated by hatred felt free to suspend their accounts, racist graffiti, and verbally attack and insult African Americans racially. " This includes Mark Edwards, a 59-year-old worker who told the press that he had discovered a noose hanging near his workstation in March 2017. "I was surprised, really surprised by that," said Edwards, who took a picture of it. "I could not believe that someone did that. I did not understand who in my workplace hated me so much or felt such hatred for keeping up with my job. " Edwards, who has been with GM at various plants since 1977, said he has endured racial slurs and harassment for years on behalf of his colleagues. He reported each incident to his representatives and union leaders. He said that nothing had been done to stop it. The knot was too much, though. Edwards said that in 1968, his 19-year-old brother was tied to the rope and beaten during a racist attack. This left his brother damaged in the brain, he said. The lawsuit, notes the press, then states that white employees regularly call black "boy" workers, swastikas were painted on the toilet, and says that a white supervisor at a meeting said : "What is the problem with the nooses? There was never a lynched black who did not deserve it. " GM responded by telling the paper that it was "dealing with any incident that was reported with sensitivity and urgency and that it was committed to providing a safe, open and inclusive environment." GM stated that it had worked with union leaders on a memo delivered to factory workers on April 12, 2017. The memo referred to an "incident" offensive to all employees. "A spokesman for GM confirmed that" the incident "was the noose Edwards found on March 22. The automaker claimed to have conducted and strengthened a zero tolerance policy, but workers say that nothing has been done to correct the atmosphere. Taylor and Edwards have bills to pay and are too young to retire, they said. Edwards leaves Detroit and Taylor travels thirty kilometers from his home in Brownstown to get to the factory. Both admit that it is difficult in the light of the lawsuit, and Taylor has requested a transfer to another factory. "I hate going out of the way when I'm on the way, I think, 'How are you going today?' "You just feel the tension when you park in the parking lot.There are Confederate flags on the license plates." The full story is available to read here.